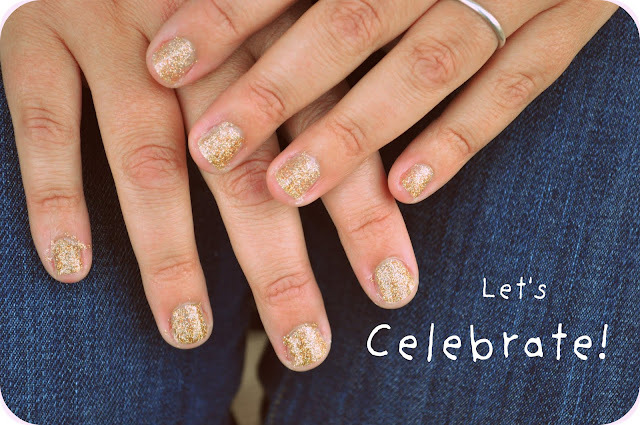 Daniel took me out and bought me some celebratory gold sparkle-ie nail polish last night. Summertime is a time for celebration and I want to do it up right. Glitter reminds me of sparklers and catching fire-flies in mason jars. I think I'll be wearing gold sparkle-ie nails all summer. love love love! now i want some gold sparkle. still on the look-out for fireflies around here. happy happy tuesday. hugs! Ah, how fun! I have iridescent mermaid polish on my toenails and it really makes all the difference, doesn't it? Pretty! I had blue glitter toes last summer, they were my favorite. He's a keeper your mister! And OoOOo la la Miss Kitty! So pretty! I had a beautiful red glitter called Ruby Slippers. It was my all time fave, but sadly it became goop and had to go over the rainbow.